Once a Timeline has loaded on your page, move your cursor to the right hand side and an arrowhead will appear, inviting you to move to the next event in the Timeline. 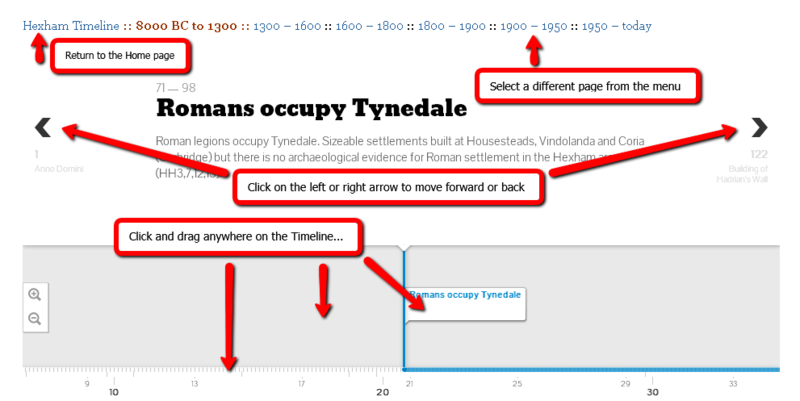 You can move backwards and forwards in this manner or you can “click and drag” the actual timeline. Mobile devices may offer a “Swipe to navigate” option.